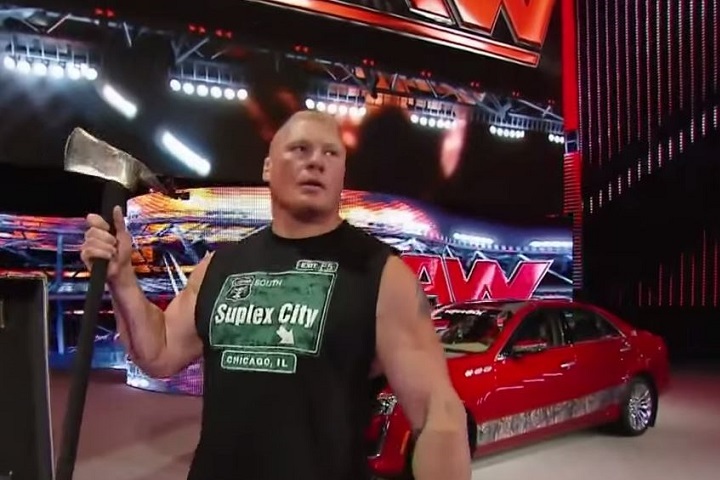 Brock Lesnar from Raw this week! Pete, Steven & Johnny are back for the re-boot of This Week in Wrestling! The all new and improved show takes segment one to look at Andre the Giant vs Harley Race from NWA Classics, EVOLVE 45, ROH TV, CZW and CJ Parker and NXT TV. The second segment goes international with Lucha Underground, Rey Mysterio in AAA and TripleMania and a quick look at New Japan and Ishii-Makabe. We end the show looking at the WWE including Raw, Smackdown and the Dusty Rhodes special.